On a Monday afternoon, Lee Brand and Miguel Arias stood side by side, shoveling dirt at a police station groundbreaking. Hours earlier, Arias was anything but smiles with Fresno’s mayor. He, along with three other council members, criticized Brand’s plan on how to spend $12 million in state funding for improving local roads. If the rift isn’t solved by the end of the month, the city risks forfeiting those millions to the state. Arias, addressing the media at a news conference in southeast Fresno, said enough is enough. “The frustration I’ve reached already in my third month has been tremendous. Because we’ve had this conversation with staff privately. We’ve had it with the mayor privately. And, we expected a better plan that was reflective of a whole city and of south Fresno being made whole. And, we didn’t see that. What we saw was business as usual. Divide all the dollars equally and somehow talk about publicly you’re ending the Tale of Two Cities. That is not the case,” Arias said. The city must submit its list to the California Transportation Commission by May 1 to receive SB 1 funds. That bill, approved in 2017 by the state Legislature, raised gas taxes for road infrastructure projects. 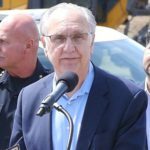 If the city fails to meet the deadline, the state could keep the money. Brand’s plan, released last Friday (March 29), doesn’t distribute the money equally across districts. But each district will receive at least $1.4 million. The news conference notwithstanding, Brand said it’s not about politics. “We try to balance all those different factors and different categories into a known, proven system that objectively evaluates these funds. Is it a perfect system? No. Is it subject to debate? Yes. But, that’s a starting point. If we start down this slippery road of politicizing business decisions, it’s going to be a tough one to follow,” Brand said. The district where the councilmembers spoke in southeast Fresno, represented by Luis Chavez, will receive $2 million in Brand’s plan. Esmeralda Soria’s District 1 will also receive nearly $2 million. “I can’t solve 100 years (of neglect) overnight, but we can certainly start in that direction,” Brand said. The issue for the progressive members of council is fairness. The councilmembers also floated a plan to budget SB 1 money on a five-year cycle, not just annually. Soria and her colleagues pointed to sidewalks as a priority. Velia Gamez has lived in the neighborhood near Orange and Butler avenues for 15 years. Mobility on dirt sidewalks presents a challenge for her. “It is very difficult. I have to use a walker. I don’t own a car. I have to walk to go to the grocery store or the doctors. During the rain, I have to walk on the street,” she said through an interpreter. Brand says he’s open to spending money on sidewalks, but it has to be done in a cost-efficient way. Steve Brandau (District 2) is in his final week as a city councilman before leaving for the Fresno County Board of Supervisors. He observed his colleagues at their news conference. Chavez later joked that Brandau did so uninvited. Brandau said he is sympathetic to the need of south Fresno residents, but he’s not willing to give up funds slated for his northwest Fresno district. 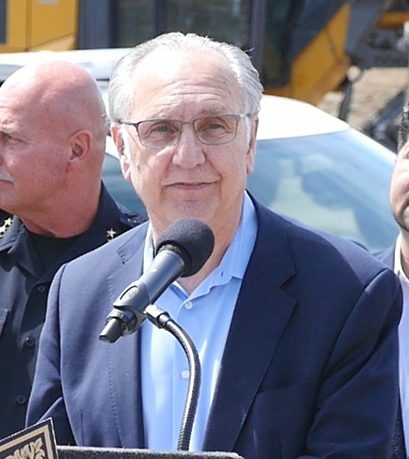 Brandau and Councilman Garry Bredefeld (District 6) will hold a news conference Tuesday calling for SB 1 dollars to stay in their districts. 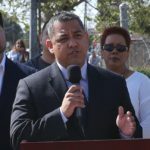 Nelson Esparza (District 7) did not participate in the news conference with his colleagues, but noted his objection in a news release. 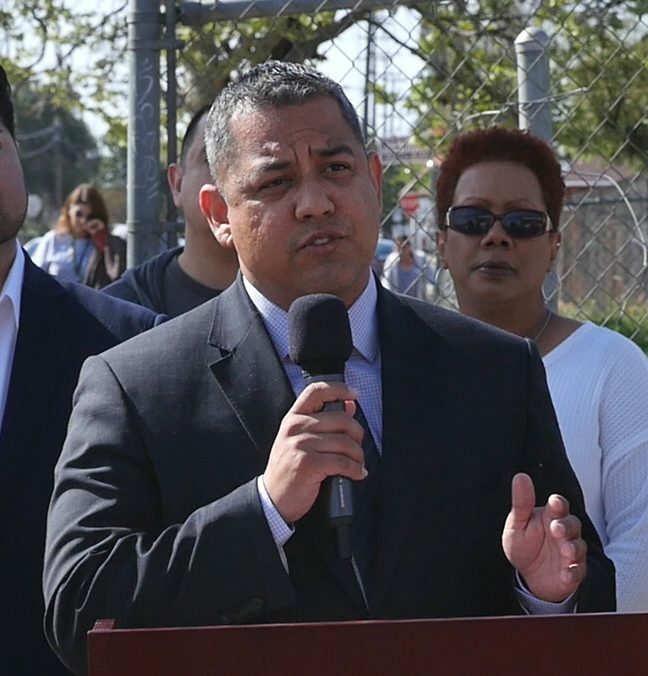 “The administration’s proposed SB 1 funding plan for infrastructure is dead on arrival,” Esparza wrote. That means four councilmembers oppose the Brand plan as it stands. They are scheduled to debate the issue Thursday. Brand said the worst case scenario is losing the $12 million, something that no one wants. She’s been here 15 years and still speaking through an interpreter? “The progressive members of council” ? Is that code for ” If I don’t get my way I will throw a fit and call you bad names”? Are they “progressive” because they want all the money? Does that make the other council members as “retrogressive” because their think their districts ought to get some money too ? Mr. Taub, do you have a dog in this fight? Maybe you should just refer to all council members as representatives and leave the labels for the opinion page. 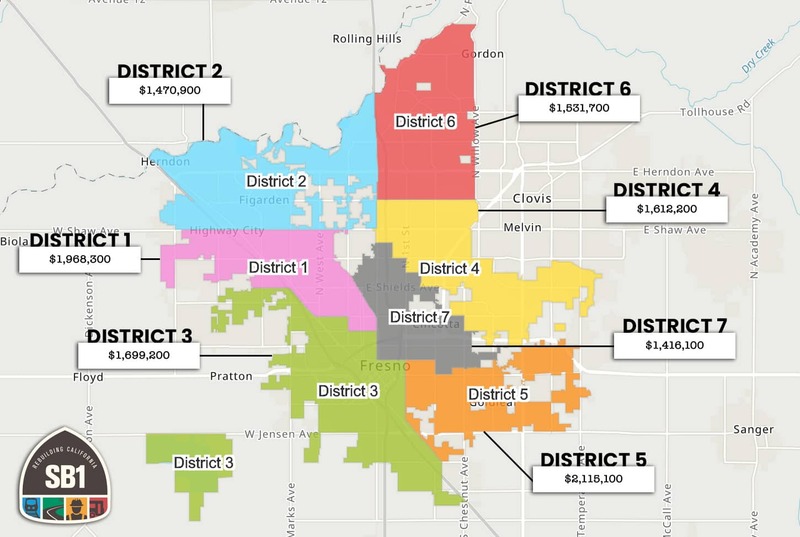 I see district 7 with least amount of funds. District 7 looks like it’s neglected again. It is NOT a north vs south issue, solely. Everyone uses, or can use, ALL the roads in town. It’s just that all the crummy roads just happen to be in the south – no duh. 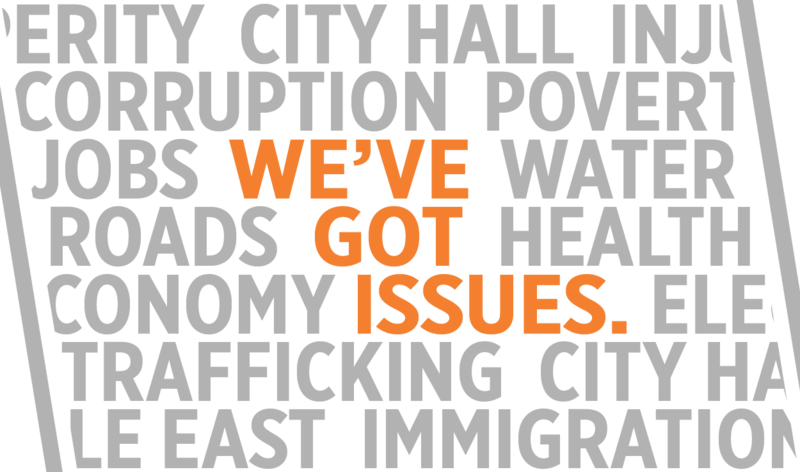 Years and years of neglect, as Bill McEwen avers in his column today, has led to a situation where the councilmembers are forced to fight for improvements from a basically unfair system. That is really ridiculous – look at the roads! And by the way, that’s what politics is all about, so playing that game is what this is about. Thanks to the progressives, which is code for thinking about constituents first.